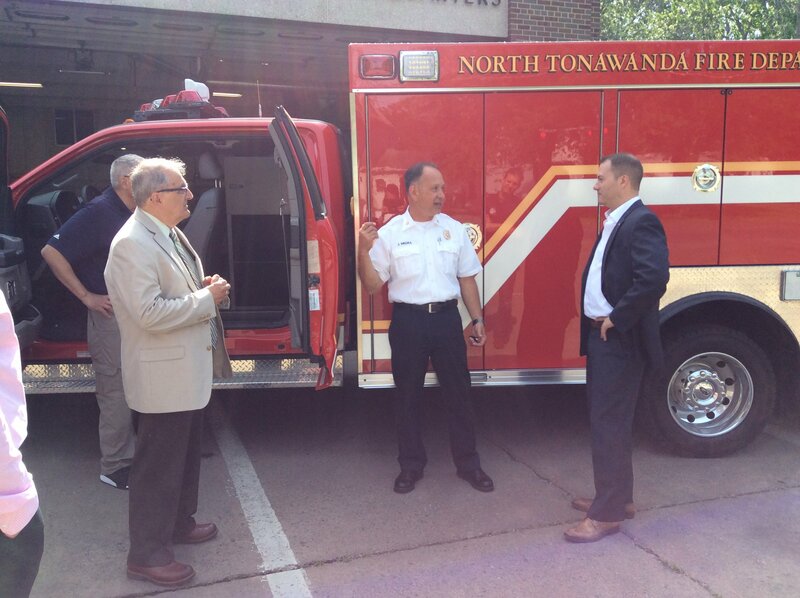 Mayor Pappas joined Senator Robert Ortt, Alderman-at-Large Bob Pecoraro, 1st Ward Alderman Mark Berube, and the North Tonawanda Fire Department as they revealed the station’s new light rescue vehicle Monday afternoon. 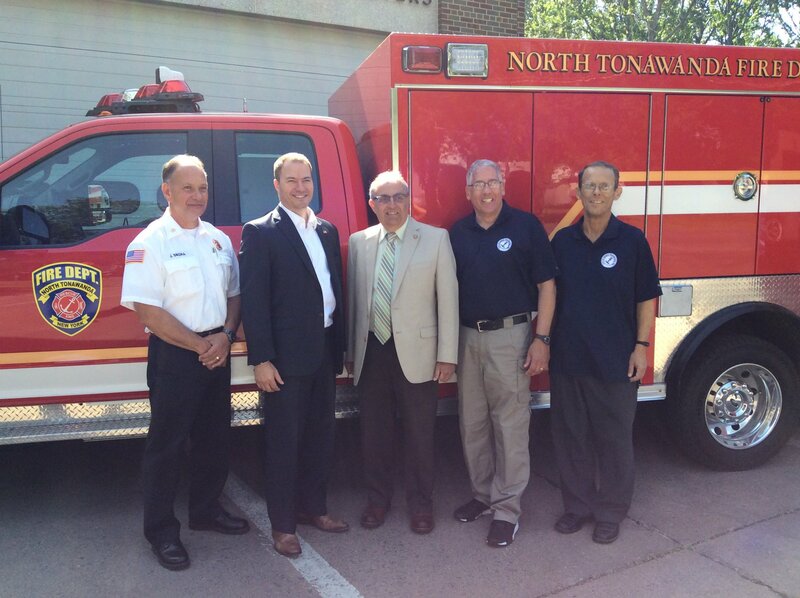 This new vehicle was purchased thanks to a $100,000 grant from Senator Ortt and a $100,000 contribution from the City of North Tonawanda. 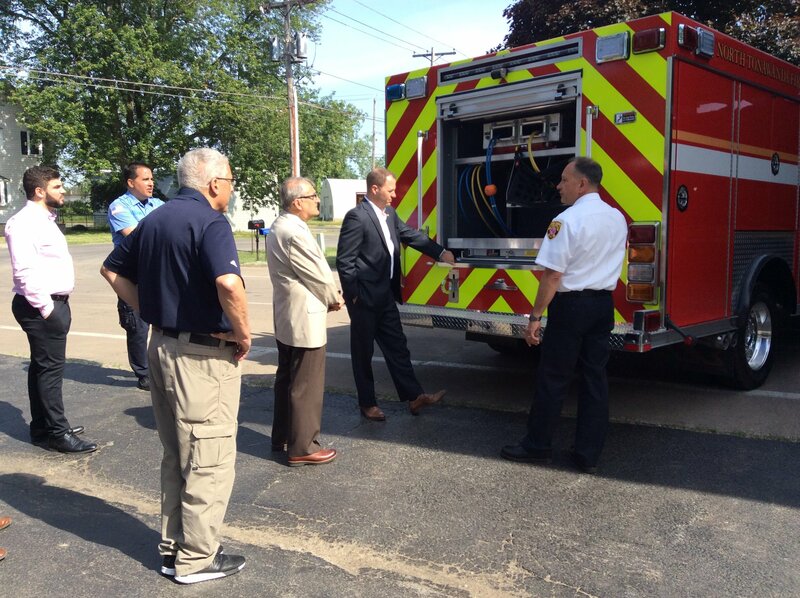 It replaced an eight-year-old model that was used by the department. 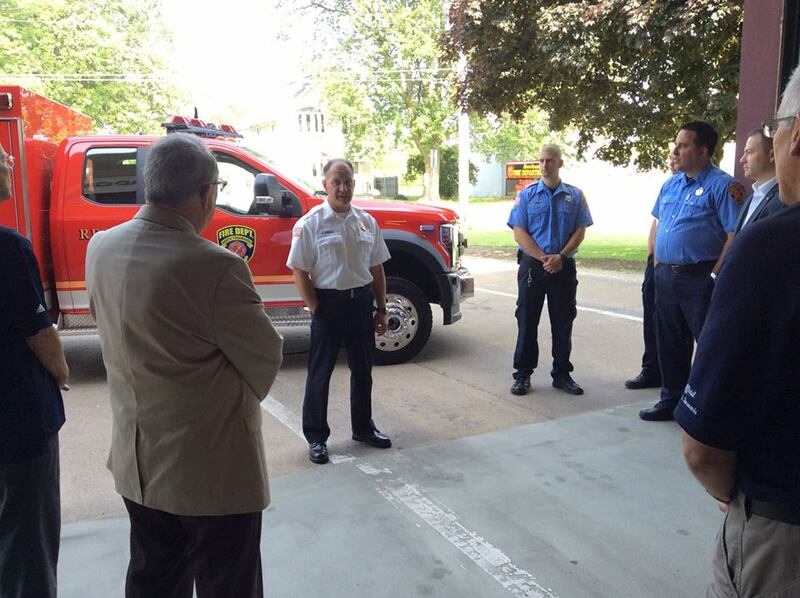 More of a supplies/equipment vehicle, this truck will make the lives of NT fireman easier and ensure that there is no tool not at their disposal in the event of an emergency.